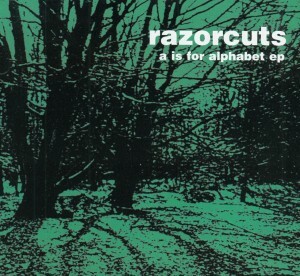 Following the rapturous reviews of last October's retrospective collection "R is for.. Razorcuts", Matinée Recordings have managed to negotiate the release of a further EP's worth of songs from the Razorcuts archive, combining lead cut "A is for Alphabet" from the aforementioned retrospective with four more beloved and much requested Razorcuts classics. The signature Razorcuts jangle is in full effect throughout this EP, from the formative simplistic beauty of rare early demo tracks "Sometimes I Worry About You" and "For Always", where the shadow of the Television Personalities still looms large, through to the Gene Clark inspired lushness of "Snowbound" from their last long player, 1989's "The World Keeps Turning." Packaged using period promo imagery from the Razorcuts vaults, this makes a fine companion to the recent retrospective album, or alternatively a fantastic introductory sampler in its own right.